Brother Larry+ video at Boston University. A wonderful piece on Lindisfarne Community priest Larry Whitney here. 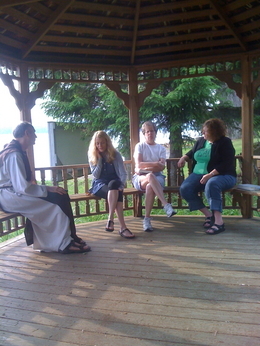 In September 2010, The Lindisfarne Community was recognized by the Association of Professional Chaplains as an ordaining Institution. Clergy in the community may now apply for certification with the APC and apply for posts in institutions that employ certified chaplains. Sr Leah professed and recognized as a solitary. We had a wonderful time at Casowasco Retreat Center, NY as 25 folk gathered from many part of the USA. 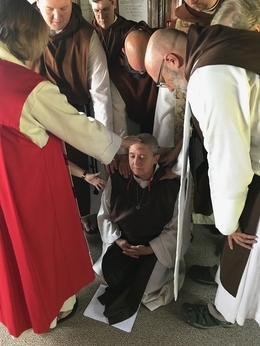 Three members were ordained deacons, one appointed Prior and one affirmed for the life of a hermit.